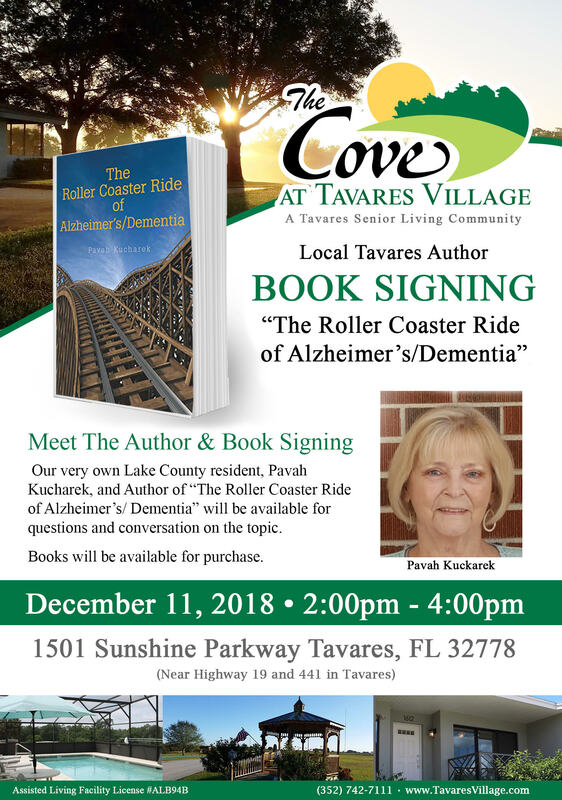 Our very own Lake County resident, Pavah Kucharek, and Author of “The Roller Coaster Ride of Alzheimer’s/ Dementia” will be available for questions and conversation on the topic. Pavah Kucharek lives with her husband, David, in their Central Florida home. She has three children and six grandchildren. She loves to travel and go on cruises with family and friends. She is also an avid reader and loves to write. Pavah also volunteers at an Alzheimer’s support group and is certified to lead group meetings. Her goal is to inform and help other families going through the emotional and mental struggle of the horrible diseases of Alzheimer’s and dementia.